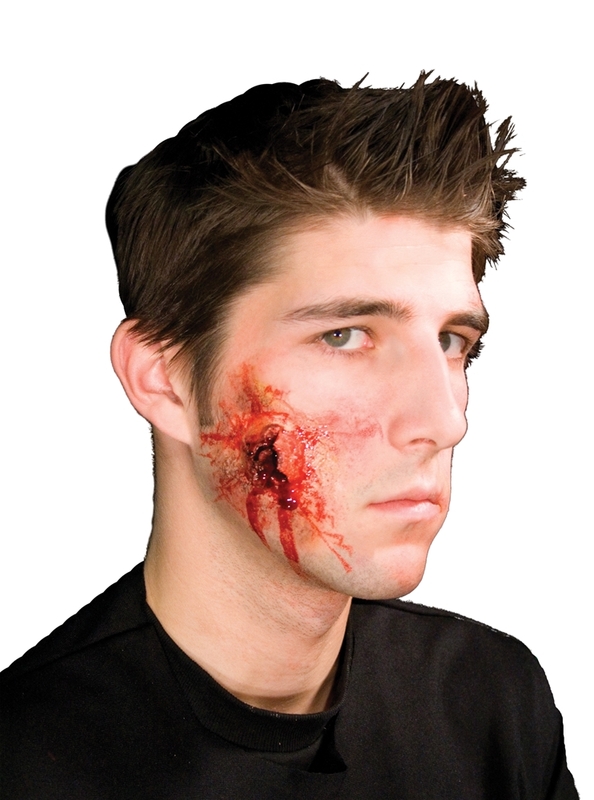 You're going to need to duck for cover when the guns are drawn with the .38 Exit Wound EZ FX Makeup Kit. This makeup kit includes a single bullet hole exit wound latex appliance, Spirit Gum Adhesive, and fake blood. Combine with a few more prosthetics, and you got yourself a shoot out massacre!